Some home appliances are very complex, which is fixing them can be difficult when a unit gets damaged or develops issues. Take the furnace, for example. You might think that you can handle simple fixes like those you would perform during an air conditioning repair. However, it’s important to first know some basics about the furnace, such as how it works and its basic mechanisms. This will help you handle simple fixes for your furnace. Inspect the auto on and off feature. Try switching off the furnace or running it in auto mode. If that doesn’t work, there might be a wiring issue. 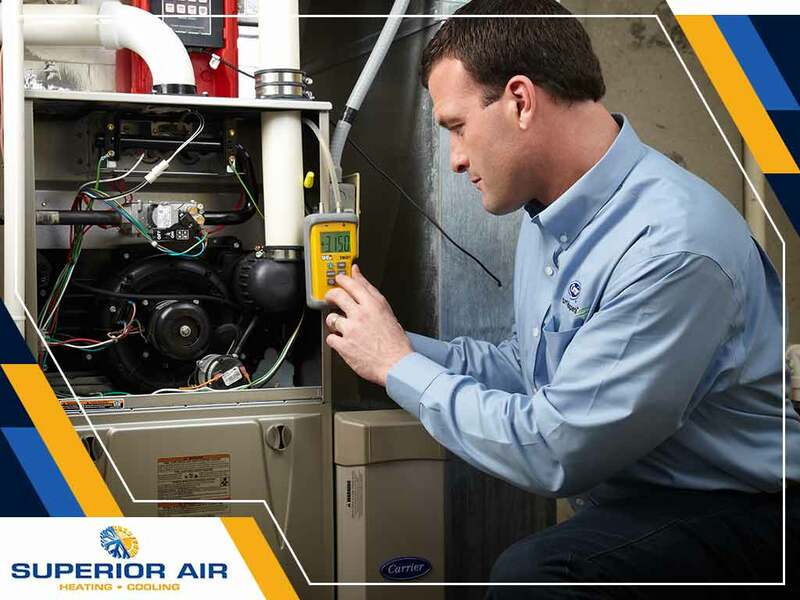 Similar to air conditioning maintenance, maintaining a furnace requires that you inspect each part of the unit. In this case, check your furnace blower or look for a manual switch. Sometimes, simply turning the switch on and off will solve the issue. If your thermostat is set to a very high temperature during the cold season, your furnace will definitely run 24/7. The main reason is that it’s trying to reach a temperature level that’s practically unattainable. That’s why it’s important to make sure that your thermostat is set to a reasonable temperature. Many experts recommend shooting for 68 degrees F during the day to keep energy costs in check yet still maintain a fairly comfortable indoor temperature. If you find it hard to locate the source of the problem, you can always contact a professional HVAC contractor like Superior Air. We can offer you reliable, long-term fixes so your furnace won’t have bigger issues. In case it does, however, you can count on our heating and air conditioning installation to bail you out of a heating or cooling bind. In Visalia, CA, you can contact Superior Air for professional assistance. Dial (559) 342-0023 with your HVAC service requests today.